Alyona Kapoor, better half of Master Chef Sanjeev Kapoor, is the driving force behind him, the ideal woman behind a successful man. Rajeev Matta, COO, gets things done! Thanks to his honed organizational skills and result oriented actions. Currently associated with Master Chef Sanjeev Kapoor, Anupa completes ten years of working on his books, shows and TV shows. 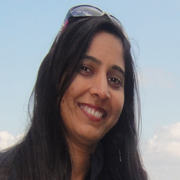 Neena not only does a wonderful job of researching and writing scripts for the Khana Khazana shows but also ably snips and polishes the content of the recipe books and website and those that are published in newspapers and magazines. If there is anyone who is ever ready to help with verve and a brilliant smile, it is Jaaie who works as Chef Research. 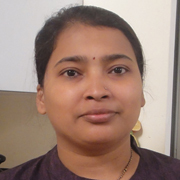 After completing seven years with Taj, Shalaka who joined the team as an Senior Executive R&D. The jolly and pretty girl with absolute killer dimples – Esha Makwana, has been working as an HR and Admin Executive for the past one year. 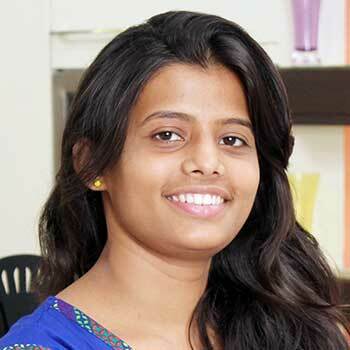 Nisha, outgoing and hard working, is a graduate from Jai Hind College Mumbai, who brings seven years of experience in Customer Service and IT industry to the organization. A fun loving and a friendly person, loves meeting new people and trying out new things – this is what the curly haired Sonica Sunderram is all about! 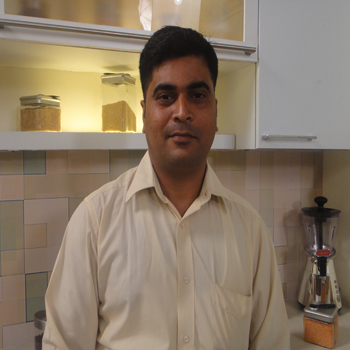 Hard working and sincere, Rohit has been an integral part of the Khana Khazana productions for more than 13 years now. Pawan, Finance Manager having experience of various industries uses his capabilities in accounts management to good stead. 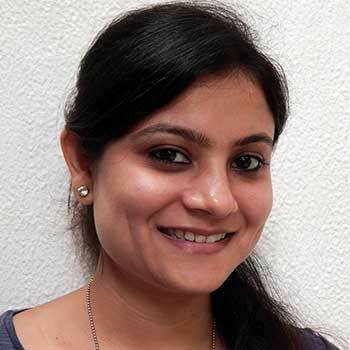 Pooja is the young and efficient video editor at Sanjeev Kapoor’s. Having done an editing course from Livewires Institute, she makes sure everyone and everything looks great on camera. Good natured, sincere and hardworking…that describes Vaishali who has been working as Assistant Accounts for a number of years now. Young Amar, assists in the accounts department. An important member of the accounting department, Priyanka with the masters in commerce, has five years of working experience with numbers. Anisha is always wearing a bright smile which makes walking into office each morning extremely pleasant! Alyona Kapoor, better half of Master Chef Sanjeev Kapoor, is the driving force behind him, the ideal woman behind a successful man. 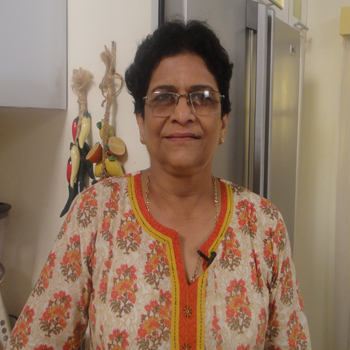 Giving her husband both moral and emotional support in his various endeavours, she has been a part of the Khana Khazana group since its inception. Her job profile in the company can be best described as that of a CFO. Her chief forte is her ability to coordinate and get work done efficiently. She also helps in formulating the numerous recipe books authored by Chef Kapoor as also in the behind-the-scenes work of Khana Khazana. Mother of two lovely school-going daughters, Alyona manages both home and office work with super efficiency. She accompanies Chef Kapoor in his travels around the country and abroad whenever possible but sees to it that her home runs smoothly. 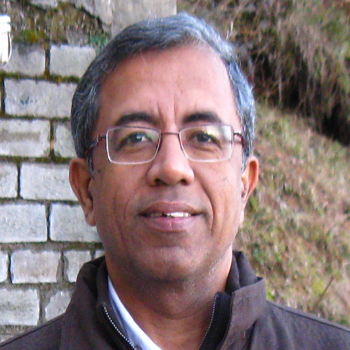 Rajeev Matta, COO, gets things done! Thanks to his honed organizational skills and result oriented actions. His Diploma in Hotel Management from an illustrious Institute of India and Diploma in Management come in good stead. More than twenty two years into the hospitality industry, Rajeev had been a professor at Institute of Hotel Management, Ahmedabad for more than a decade. Neena has a backing of more than twenty five years in the field of journalism. Having worked as Executive Editor of Cuisine (a magazine devoted to cookery), for her, food and food journalism are hand-in-glove. She not only does a wonderful job of researching and writing scripts for the Khana Khazana shows but also ably snips and polishes the content of the recipe books and website and those that are published in newspapers and magazines. I have always been a foodie and enjoyed not only eating but also trying out new recipes. At Khana Khazana I learnt the finer nuances of cooking. Like how to judge whether a recipe is workable; how the ingredients need to be treated differently to achieve the right results; the right temperature required to cook different things; substituting one ingredient with another; how to tweak recipes to suit each one’s requirements and lot of other interesting and helpful information about food and related topics. If there is anyone who is ever ready to help with verve and a brilliant smile, it is Jaaie who works as Chef Research. She is an eager beaver, ready to learn and work hard. 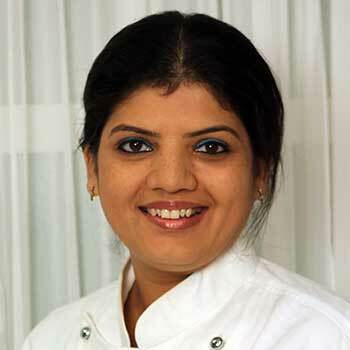 She has a Diploma in Hotel Management from Maharashtra State Board of Technical Education as also a Degree in Hotel Management from Yashwantrao Chavan Maharashtra Open University. She has worked in an Italian Specialty Kitchen and dreams of having a small Italian restaurant of her own, this with loads of foreign travel and food trails! For me the last two years at Khana Khazana have been truly an amazing experience. I have always been given opportunity to speak, to express my thoughts and to implement ideas. I feel very proud to be associated with this great organization. The work culture at Khana Khazana has tremendous response to feedback. Hierarchy is only an enabler and not a hurdle, which is generally the case in other organizations. 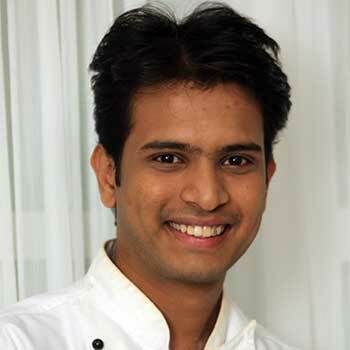 He is one of the younger ones around with a Diploma in Hotel Management. But he’s got big dreams! Like becoming a celebrity chef and for that he is willing to learn and climb up the ladder of success, one difficult step after the other. With his inclination toward continental cuisine, he says he is happiest in the kitchen, but not the home kitchen, mind you, because he loves his mom’s cooking! 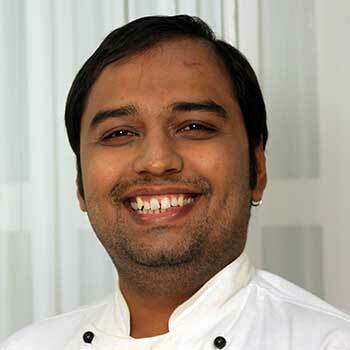 Coming from a family of food lovers, becoming a chef for Afraz Sheikh was destined. He prepared his first dish when he was just 12 and went on completing his degree in Hotel Management from Anjuman-I-Islam Catering College. After his graduation, he worked with Renaissance Hotel, Oberoi Flight Service and Taj Sats. 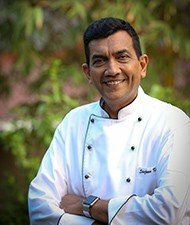 Working for Sanjeev Kapoor was his dream as he considered him the ultimate role model, so he joined as R&D Trainee with a dream to become a renowned chef as well as serve big dignitaries and start his own restaurant in the future. 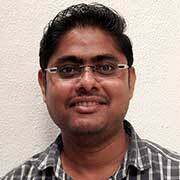 After completing seven years with Taj, Shalaka who joined the team as an Senior Executive R&D. She is a diploma holder from Sophia Polytechnic and when asked about food, its not something that you just eat but also look at and feel good about! Reading and music are her other hobbies. 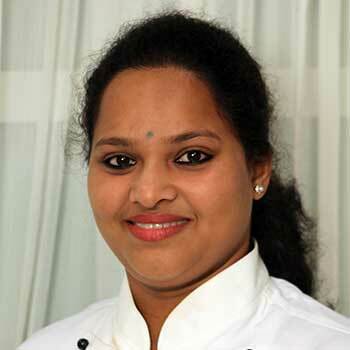 Her family and two kids are her lifeline and for the future she wishes to learn and explore the maximum in Indian cuisine. The jolly and pretty girl with absolute killer dimples – Esha Makwana, has been working as an HR and Admin Executive for the past one year. 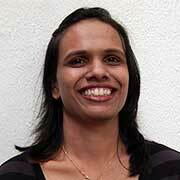 She has done her Post Graduation in Human Resource Management from JDBIMS and has 3 years of work experience. Her interests include swimming, playing outdoor games and discovering new places, and her ambition in life is to open a Food Joint since I love food! A fun loving and a friendly person, loves meeting new people and trying out new things – this is what the curly haired Sonica Sunderram is all about! 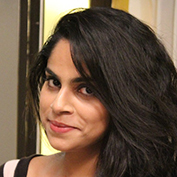 Working with the digital content team, she completed her graduation in Commerce from Mithibai College, Mumbai and believes in taking one day at a time and living life to the fullest. Music is her first language, and besides that, she also loves reading and watching television. A foodie at heart, loves writing, so she hopes to get ahead by amalgamating these two into something that will enable her to make it big and earn enough to be able to travel across India and eventually the world. Hard working and sincere, Rohit has been an integral part of the Khana Khazana productions for more than 13 years now. A keen learner and dedicated person, Rohit has been humbly and quietly climbing up the ladder of success in his field of expertise with every passing year. 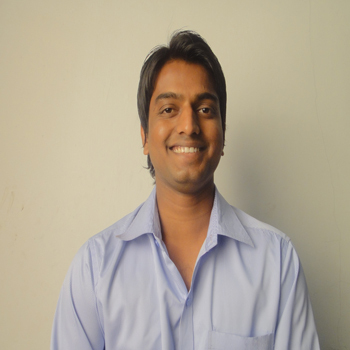 Pawan, Finance Manager having experience of various industries uses his capabilities in accounts management to good stead. He handles his work with passion and great execution ability. His strength lies in his planning skills by ideating and introducing effective systems and systematic closure of projects. This organisation has provided me the platform where I got full liberty to explore, perform and grow along with the organization. The best thing about working in Khana Khazana is you are always on the forefront. You have the chance to make things happen and raise a toast to the success. 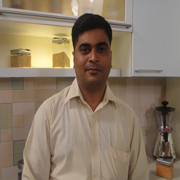 While working in Khana Khazana I have grown professionally and personally. My association with Khana Khazana has not only enhanced my knowledge and capability to perform but has also given the confidence and courage to adapt myself to ‘committed to excellence’ environment. 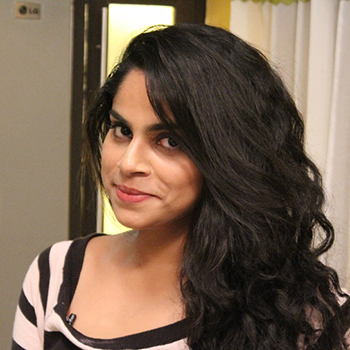 Pooja is the young and efficient video editor at Sanjeev Kapoor’s. Having done an editing course from Livewires Institute, she makes sure everyone and everything looks great on camera. Cooking food may not be her forte, but she does love eating, especially desserts. With an infectious laughter, she brightens up even the most tiring days at work for everyone! 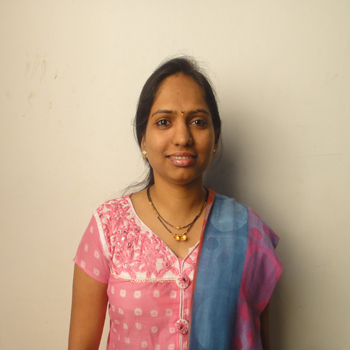 Good natured, sincere and hardworking…that describes Vaishali who has been working as Assistant Accounts for a number of years now. A commerce graduate, Vaishali wants to have a secure future in accounting. She has two passions: accounts and cooking…though eating much is not her forte! Young Amar, assists in the accounts department. He is a B Com graduate from Ismail Yusuf College Mumbai and also has a Diploma in Industrial Computer Accounts from ICA Institute. An important member of the accounting department, Priyanka with the masters in commerce, has five years of working experience with numbers. She has only one specific thing to say about food though: I love to eat. But do not ask me if I want to cook! It’s my pleasure to write about Khana Khazana India Private Limited. 1. Work @ Company: There are many opportunities for individuals to learn, grow and to explore with new technology and challenges. Mentor team is always there to pull you out from the issues. Flexible timing and adjustment support you. Good infrastructure. Right to share your ideas and concepts. 2. Fun @ Company: Events like movies, cricket tournaments, picnics makes the work more easy. 3. Life @ Company: This is the most important thing, as one spends his prime time of the day in the company. Khana Khazana respects it, and provides both work and fun at the same time to make work life easier and satisfactory. We have a very friendly atmosphere. I think no one can find this type of atmosphere anywhere else easily. Dashrath takes his job in assisting the accounts department very seriously. 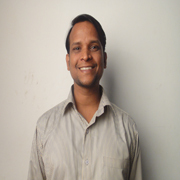 He completed his graduation in commerce from M.L.Dahanukar College of Commerce, Mumbai. Talk of food to him and he instantaneously says, “I love all teekha and chatpata khana,” but quite surprisingly isn’t that fond of sweets. Besides earning big in life, he is mad about playing cricket and enjoys watching comedy serials! 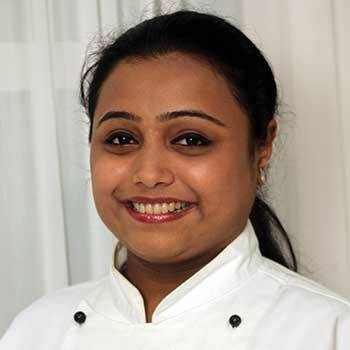 The face of Sanjeev Kapoor’s office, Anisha has done Bachelors in Commerce from Sanskadham College, Mumbai. Besides trying out a few exciting recipes once in a way in the kitchen, she also likes interacting with new people and visiting different places to eat. Anisha is always wearing a bright smile which makes walking into office each morning extremely pleasant!